Tucked away in the small town of Davisburg is a candlefactory with a whole lot of tradition. 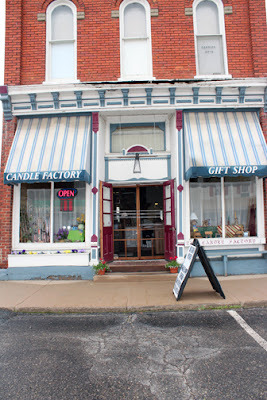 The Davisburg Candle Factory offers custom made, hand-decorated candles that have been made in the same factory the same way since 1960. Tapers are dipped in a unique automated line that is made up of old roller skate wheels, bike chains, wheels and rims. This is my go to place when it comes to gifts. I always have some on hand for emergency purposes, and love to give them at Christmas. Or birthdays. 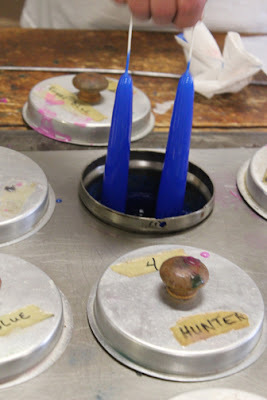 Since the candles are each created by hand they all have a unique aspect to them. This is neat! I would love to go to one of these. Very nice and what a cute idea to give as a gift! Those are so pretty, and I love seeing how things are made! Great post! CUTE!!! 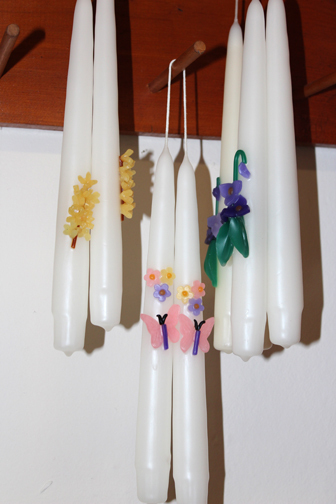 This kind of reminds me of summer camp because we used to make candles like that and it was so fun! I really love those blue ones- they would spice up a monochromatic room. I love, love, love little places like this. It's so neat to find such whimsy in little shops. I love these candles! They always have them at the Renaissance Fair in Charlotte and I bought a few for Christmas last year! This is so adorable! I want to do this. I wonder if they have a place in Vegas. What a awesome place.....those candles look great. that looks like a great place to visit and shop for gifts. so fun! you can dip your own candles at the Yankee Candle store in Deerfield, MA and i did it when i saw in college! Wow, what a great place to visit! I have to see if they have something like that in CO. Looks fun! 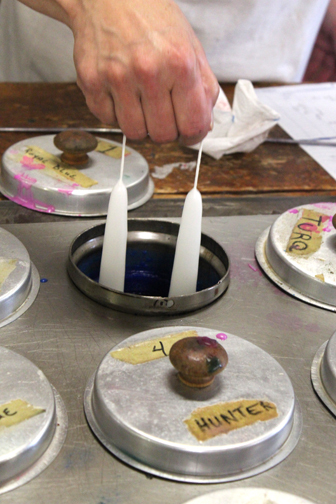 How cool - I've never actually seen how candles are made. Those cobalt blue ones are so gorgeous! That is so neat! It amazes me how they are so smooth, that must be the art to it! What a great homemade gift. Very thoughtful and unique for sure!